This item will save you money if pre-ordered. Please put your orders in now and receive a 25% discount. 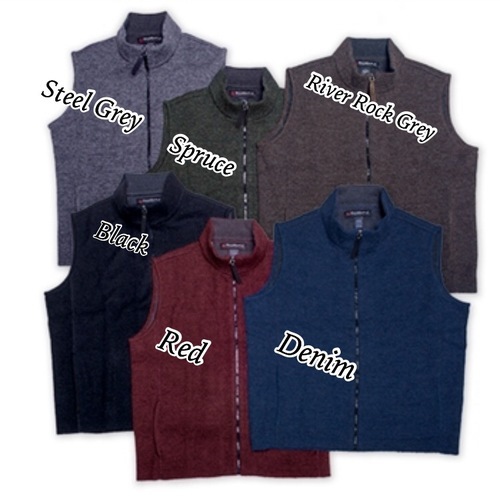 Mens: Our original best-selling zip front vest! 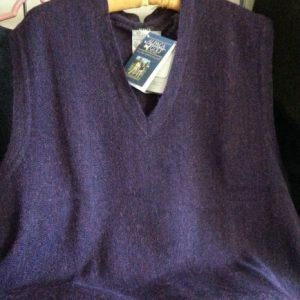 Heavy washed for a perfect layering weight. Soft & warm yet breathable. It’s a great natural fiber alternative to synthetic fleece. Made in Peru. 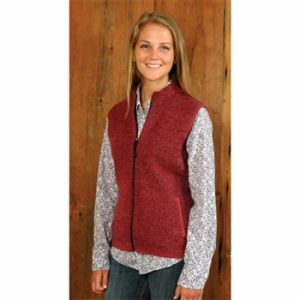 Women: have their own version of our best-selling zip vest! A refined zipper, softer colors, and more feminine fit make it a sure favorite. 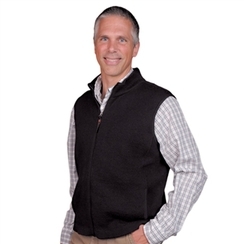 In the ever-popular double faced Ridgeport fabric featuring alpaca on the outside & cotton on the inside.